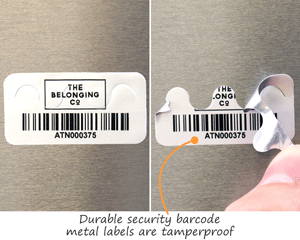 Security Barcode Labels self-destruct on removal - ideal for tracking assets, equipment, tools, and inventory. 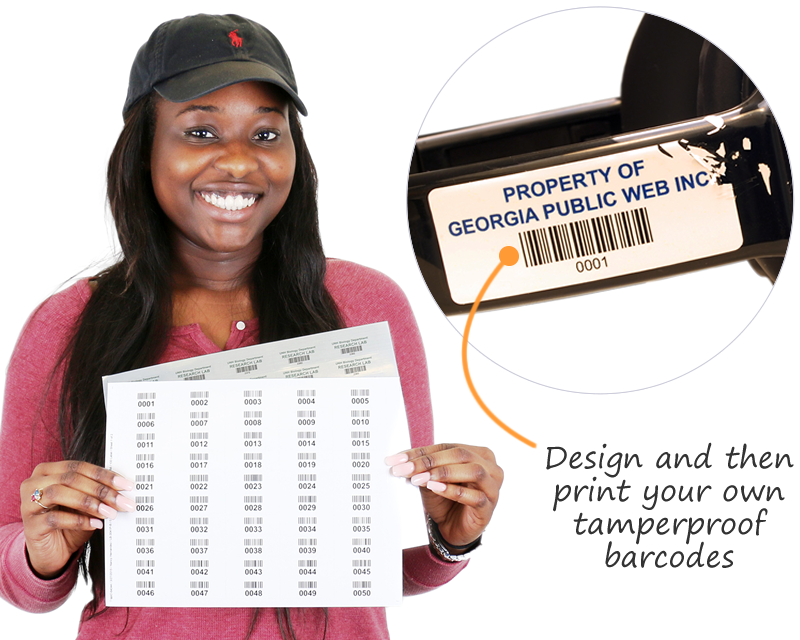 • Laser printable label sheets are available in both VOID and destructible materials. Use our free online wizard to create a PDF. Use this PDF to print any of these sheets. Save money and time. • Also find a wide variety of preprinted templates. Choose one of the materials or template families below and drill down for further choices. 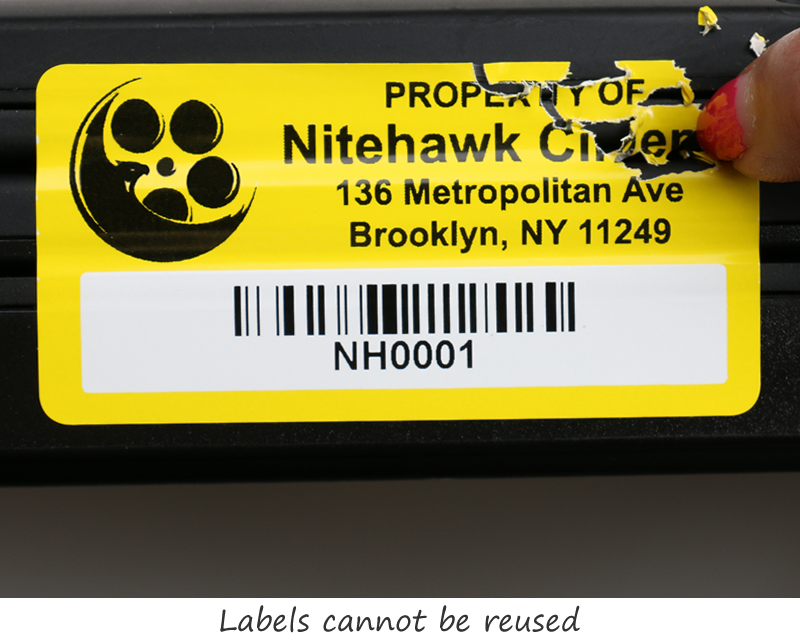 • All of our labels use die-cut shapes; this makes it difficult for others to counterfeit your labels. Use our free online software to design your own barcode labels. Download a PDF to use on any of the laser or ink jet printable sheets sold below. Choose a design or material from the sections below. • 100’s of templates. Voiding or destructible labels. 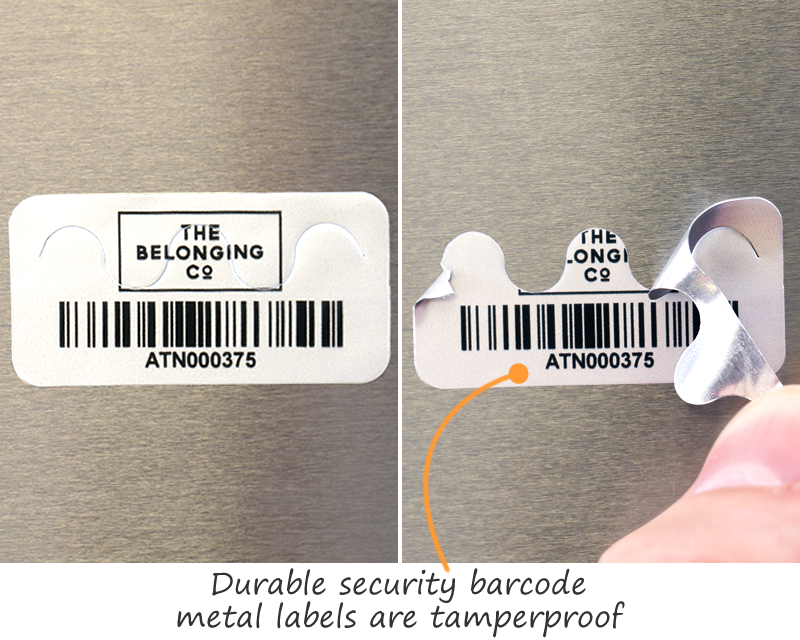 • Premium AlumiGuard metal tags have anti-theft security cuts. • Quick ship. These stock labels cannot be reused. • Let others help you retrieve valuable equipment. • Do not remove this label! Report theft of assets. • Save money with stock barcode labels. Any sequence of numbering. Quick shipping. • Design online and then download a free PDF.